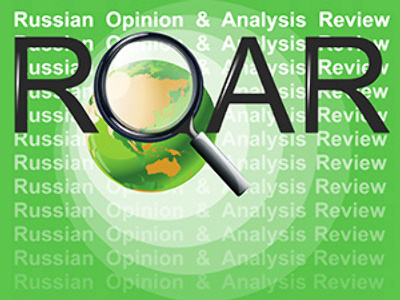 This Wednesday ROAR offers an analytical report on the first anniversary of Kosovo’s independence and various ideas about the global crisis, its historical role and the means to overcome it. Gennady Sysoev writes in today’s issue of KOMMERSANT that the main positive achievement of the independent Kosovo which celebrates its first anniversary today, is the fact that for the duration of the first year there were no major ethnic clashes. He says, Kosovo surprised many analysts by failing to become a permanent ‘hot spot’ in the center of Europe. Another achievement is that by the end of the first year 54 nations of the world recognized Kosovo, which allows its leaders to speak of the new country’s perspectives of the EU, NATO and UN membership in the near future. However, says the writer, the picture is not that bright: Kosovo’s economy is still totally dependent on Western aid and there is no end of this situation in sight; the original ‘plan for recognition’ included 100 nations of the world and it was fulfilled only by half; the absence of Russia and China among the states that recognize Kosovo effectively nullifies its chances with the UN, while severe governance problems dim the hopes for membership in NATO and the EU. Still, the main players in the conflict over Kosovo have squeezed some gains out of its outcome: the U.S. and their allies seem to have proved, at least for one year, that Kosovo’s independence was the only way to neutralize the last knot of tension in the Balkans. Russia reaffirmed its close friendly relations with Serbia and received best possible conditions for economic cooperation, while politically it was presented with a gift of a precedent which Moscow used later to the full when it recognized the independence of Abkhazia and South Ossetia in a total accordance with the Kosovo principle. 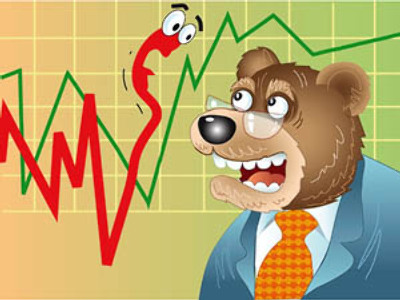 Dr. Yuri Rubinskiy of the Higher School of Economics and the Institute of Europe, the Russian Academy of Sciences, writes in NEZAVISIMAYA GAZETA that the current global crisis is similar to the Great depression in only one sense: by now it is becoming clear that it, too, is a systemic crisis that is going to cause significant shifts in humankind’s economic thinking and to reshape the whole system of the world economy. The academic reminds the readers that the Great depression of the 1930s came after a period of unlimited economic liberalism and unchecked consumerism, similar to the times we experienced in our immediate past, the times in which we all lived less than a year ago. The Great depression, he says further, caused the governments of the most developed countries which had been pursuing liberalistic policies for over a decade, to take urgent steps to ensure government controls in the economy, create great budget deficits by launching national programs which created jobs, push lots of budget money into the social security sector and bail out the core industries and, partly, communications and transport. These policies, writes the academic, continued well into the 1970s, largely because of WW II, and then were replaced by the neo-liberalistic model of American capitalism which then existed unchanged and unchallenged until 2008. The first reactions of many world leaders to the new global crisis differed by the economic ideology they preferred. Today all sorts of ideas, from very liberal to outright Socialist are being discussed and implemented all over the world, he says, but the matter with all these ideas is that their authors either want to emulate the New Deal verbatim or to drop all controls and let the market heal itself. Crisis management is much more effective in those countries where the best elements of the both systems are implemented in a mixture best suitable for the economic, social and political conditions of the country. The academic says that today’s world, extremely globalized and dynamic, is definitely not the world of the 1930s or 1970s, and new models and means of crisis management are necessary today, as most of the leading nations of the world already understand. He says the G20 summit in London this coming spring may become instrumental in this sense. It is hard to say yet, what will be the new models recommended for implementation by the G20, but it is quite clear that Capitalism will survive this crisis. Saying now that Capitalism is dead is the same as dismissing the very idea of nuclear energy for peaceful use after Chernobyl. Nikolay Zlobin of the Washington-based World Security Institute writes in his article in ROSSIYSKAYA GAZETA that the current global economic crisis came to a world already globalized beyond all earlier expectations, and its impact on the world, as well as the world’s strategy in fighting it, has to be based on the understanding of the realities of globalization. It looks unfair, says the academic, that people living in some developing country far from the main action of the anti-crisis struggle, have to depend for their well-being on the politicians who live and work thousands of miles away. He writes, it is also partly true for the citizens of the ‘transitional economies’ like the post-Soviet states including Russia. However, he continues, that is the way it is going to be: only a concerted global effort will lead out of the recession and the leading will be dominated by the key figures of very few countries. Zlobin writes that nearly every national government, including the biggest players, secretly harbors the idea that their economy is unique and, as such, it will emerge out of the crisis in the same form and with the same nature as before. To ensure that they implement protectionist policies while calling them illegal and shameful if such policies are pursued by another country’s national government. This contradiction between national governments’ protectionist mood and the needs of the global anti-crisis front is the main obstacle on the path of overcoming the crisis, says Zlobin. He continues by saying that protectionism only leads to conservation of an economy which has already failed and shown its total lack of competitive ability, so bailing it out means emerging from the crisis with a failed economy unready for competition. The authors express doubts in the usefulness for Russia of the liberal democratic form of society and consumerism-based economy. They say that the Russian national idea is, actually, the idea of a Russian Empire, of a strong Russian state. Russia, they argue, cannot become an ‘ideocratic’ empire like the USSR in the past because the Russian people have dismissed the idea of Communism, and it cannot become an ‘ideocratic’ empire based on the ideas of Liberalism because there is already another empire built on these ideas – the United States of America. So, the writers say, there are limited options for Russia that would allow it to survive as a nation state: it can either sacrifice its statehood and join the U.S. as a dozen additional states (if it completely shares the ideology of Liberalism, which is not the case), it can fall victim of Islamic proselytism and join the Islamic civilization and lose its statehood in the process (which is unlikely because Russia is too strong to yield and the Islamic world too divided to concentrate on Russia), or maintain its statehood and build its own civilization based on the supremacy of the idea of a strong Russian state over all other ideas including the Liberal values like human rights and others. In the latter case, write the authors, Russia becomes a separate civilization, sharing some values of the Western civilization and rejecting the rest of them, and that is logically the only way for it to survive and prosper as a separate nation state. In such ‘ideal’ Russia, they continue, democracy continues its rule in the form of representative democracy where only members of the government service can vote, and the government service itself becomes a social class, its members bound to the state by a life-long contract which includes severe punishment for corruption and a total rejection of wealth-accumulation in any form. The economy in that utopia exists in the form of Capitalism with strong government control and tightly monitored narrow margins, and in some cases ban on interest on any loans. Editor’s note: A good reading, free flight of fantasy – and logic hard to beat.